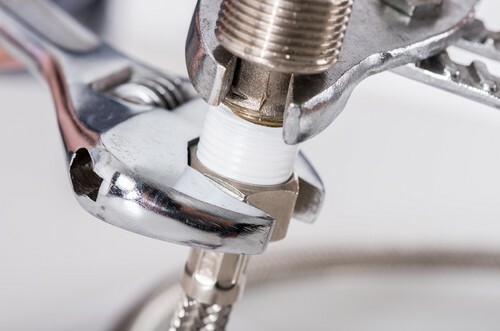 There are many reasons why you may need to hire a Singapore plumber, but often minor problems can be avoided quite easily. If you know just a few simple plumbing tips you can easily prevent common problems from occurring, saving you money and lots of hassle. With correct plumbing tips, one can be able to solve some common plumbing problems. Here are some tips for both inside and outside your home to help you avoid the common problems. The basement is a common area for problems to arise, but there are some simple plumbing tips that you can follow to prevent issues. One of the simplest tasks you can do is check the setting on your water heater to ensure it is a maximum of 120F. This will prevent the water from being too hot when you shower, and it will also help to reduce your energy usage. If you have drains in your basement, pour water down them regularly. Gases from the sewer can sometimes cause unpleasant smells in your home, but if you pour water down them regularly, this can help to avoid problems arising. If you got a septic tank in your basement, make sure you get it inspected and pumped once every three years or so by a professional. If you don’t do this, you may end up having to replace the filter field, which can be very expensive. The kitchen is another common area where issues can arise in the home, and there are a number of plumbing tips to follow here. One of the golden rules of the kitchen is to avoid disposing of any grease down the drain. Drains can easily become blocked up if you do this, so always throw any grease left over from cooking in the trash. Probably the most common and possibly most serious plumbing issue people run into is clogged toilets, especially if you only have one in your home. While you may panic and be tempted to call for professional help, most toilet clogs can potentially be a pretty simple fix you can perform yourself with a plunger. The first step is to make sure there is enough water in the bowl to completely submerge the suction cup portion of the plunger. Make sure you do NOT flush, as this could easily cause the toilet to overflow and create a whole new set of problems to deal with. If your regular plunger isn’t doing the trick, chances are you may need to purchase what’s called a bellows plunger. These plungers are easily recognizable by their according-looking shape, which provides more powerful downforce to help clear out tougher clogs that regular run-of-the-mill plungers fall short of. Another problem many people may have run into at one point or another is running toilets. It sounds like perpetually non-stop running water as if someone has just flushed the toilet and can be both an annoyance as well as running up your water bill. There may be a number of causes, and therefore a variety of potential fixes that range from simple to complex. One common cause is a stuck tank float or flapper, which can be determined by opening up the tank or by simply jiggling the flush handle to check for looseness. If either was the case, repairing the issue can be as easy as un-jamming the tank float or making sure the flapper closes on the drain. In some cases, the whole flapper may need to be replaced. While this may sound intimidating to the novice home plumber, it’s really not. A replacement flapper is relatively inexpensive and can be easily replaced on your own. Be careful what you throw down the toilet in your bathroom – really nothing should go down other than toilet paper. Also, if you notice any leaking faucets in your bathroom, get them fixed quickly as they can turn into more expensive problems and also cause serious water waste issues. Another common problem in the bathroom is the buildup of soap scum and hair in the entry to the drain. To avoid this blocking the drain, use a strainer in the plug to catch any debris and clear it out regularly. Clogged bathtub drains are another likely plumbing issue that many people may encounter at some point. More times than not, bathtub clogs happen fairly gradually so you are given plenty of warning before it becomes too serious of a problem. In the event of a clog beginning to form, you will notice that water will gradually take longer and longer to finish draining out of the tub. If you notice any of these symptoms, one option is to use a drain snake. The business end of drain snakes is usually an auger which will help loosen up whatever is causing the clog. Another method is the use of drain cleaner products, with the “Drano” brand perhaps being the most popular. Just make sure that the formula is specifically designed for bathtubs, otherwise, it could cause more harm than good. It is important to clean the gutters and drains of any debris and leaves on a regular basis. For example, you may find that they can be build up in vent pipes, which can cause problems. It is important to check on a regular basis and clear them out if you find any. You should also check for areas of standing water in your yard as these could signify a leak, and if you do spot any then make sure you get them fixed as quickly as possible. When you follow this plumbing tips you will save you money and time. They will also help you to maintain your plumbing system. If you find that the problem with your plumbing system cant is repaired or its complex, don’t hesitate to call a certified plumber to help you. 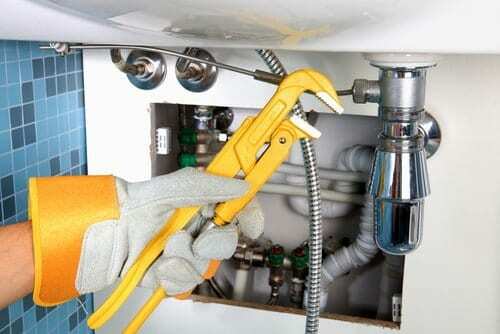 A good plumber in Singapore will advise you on whether to repair or install a new system. Take your time and find a plumber who is experienced and have encountered such issues to avoid adding more problem to our system. How Much Does It Cost to Replace Mixer Tap in Singapore? 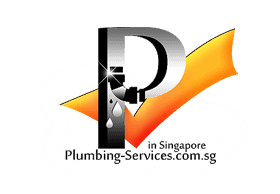 © 2006 - 2019 plumbing-services.com.sg All right reserved.